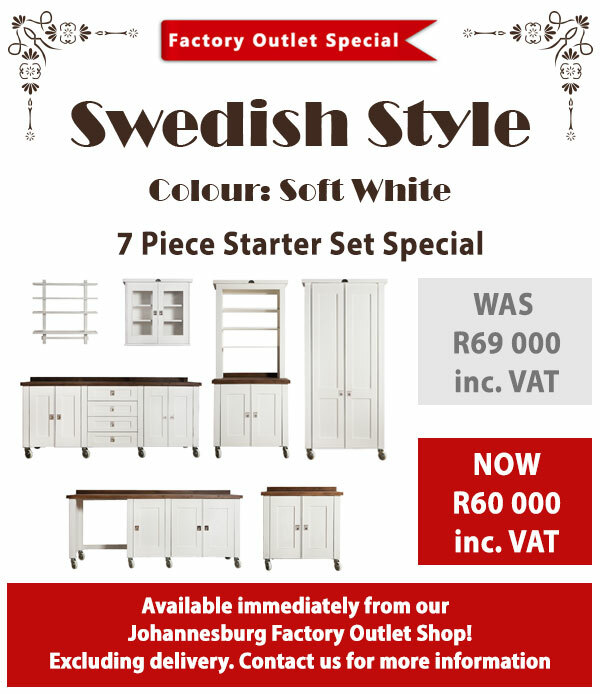 Although we have a factory outlet shop in Johannesburg you are welcome to visit us at the factory in KwaZulu-Natal but bear in mind that this is a working factory and not a pretty showroom. You should make an appointment first to make sure that there is someone here to receive you and that we have what you want to see. We don't always have all our units in stock. Select main roads, not shortest route. Due to the lack of cell phone signal in our area, email is the preferred method of communication if possible! On weekends and public holidays we like to play outside in the beauty of South Africa and have fun. We hope you do too. If we are not frolicking around outside then you find us in the factory making beautiful kitchen units, Monday to Thursday between 7.30am and 4.30pm, and Fridays 6am to 2.30pm. Please note that your email address or telephone number will not be used or recorded in our database for marketing purposes. Unless it is the weekend or after hours, we answer all enquiries promptly. We recommend you send us an enquiry using the above form, or email us rather than call as we have shaky reception at the factory. If for any reason you are not satisfied with your purchase, please return it within 30 days, in the same condition that you received it, for an exchange or full refund, less shipping and handling. Please return your purchase to Milestone Factory (address at the top of this page). If you have any queries with regard to the above please contact us using the above enquiry form. Smeg will deliver any of their products to our factory for fitting at no extra charge. We work closely with OnTap in Pietermaritzburg who will deliver your sink to our factory at no extra charge.